Drew Barrymore Ices Her Pinot Grigio, Misses Trader Vic’sShe also can’t stand the brutality of being a judge on cooking shows. Jennifer Aniston Flashes Her Rock at Madeo; Jessica Biel Eats at Ivy at TheMeanwhile, Michelle Pfeiffer was glowing at a table near the Friends star. Drew Barrymore on Her KraftMac-and-cheese. Drew Barrymore Serves Own Wine at Wedding, Still Not Confirming PregnancyBut we bet she had a sip! 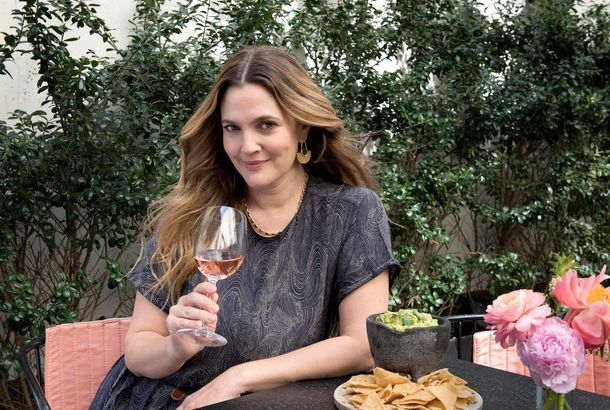 Pregnancy Be Damned, Drew Barrymore’s New Wine Hits Stores Next WeekBarrymore Pinot Grigio hits shelves in New York on May 3. Drew Barrymore Enters the Wine Biz; Château Margaux Might Go Screw CapPlus: A knock on Skinnygirl Wines, and more in our weekly roundup of wine news. Charlie Sheen Eats With Emilio and Dad at Nine Thirty; Sandra Bullock PartiesFollowing the President’s fundraising dinner on Monday, the rest of the week was no slouch when it came to celebrity restaurant sightings in L.A.
Who Are L.A.’s Best and Worst Tippers?We didn’t think it possible to love Bill Murray anymore than we do now until we heard this.